Why should children have all the fun? 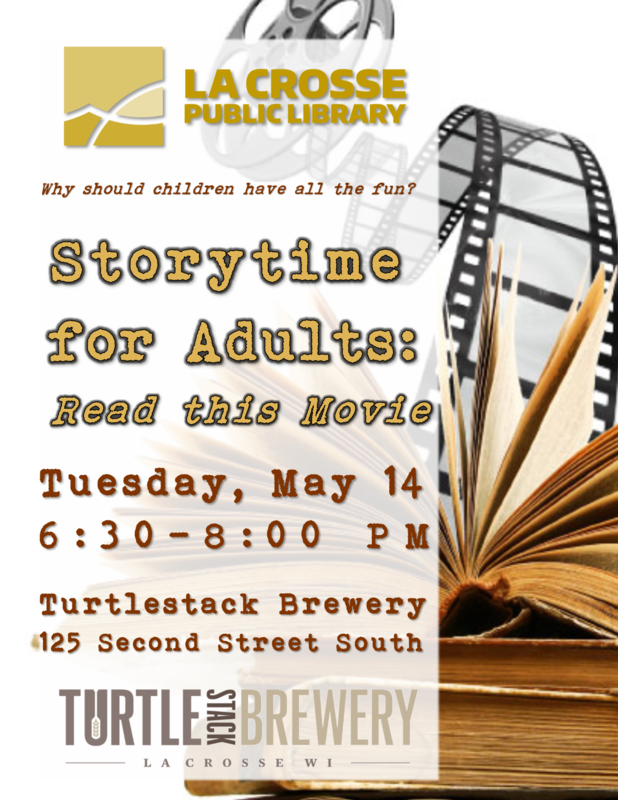 Our monthly 'Storytime for Adults' meets at the Turtle Stack Brewery. Join us to hear local librarians and performers read adult-oriented short stories and essays. In May, we’ll be reading from books that inspired some of our favorite movies.